There’s a big, important football game this Sunday, and if your piddly old TV just won’t cut it, there’s still time to upgrade to a 65" behemoth. Three different sets are on sale at Walmart right now from three solid manufacturers. 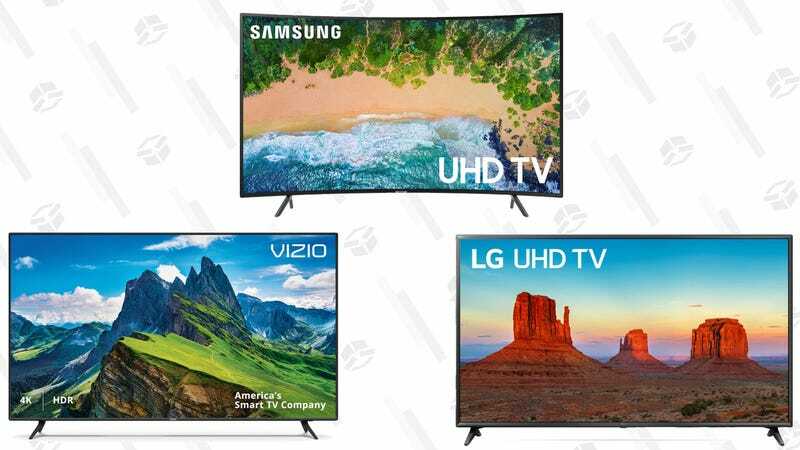 They’re all 4K, but the $598 Vizio is probably the best deal of the bunch thanks to its full array LED backlighting and built-in Chromecast. The Samsung is also tempthing if you’re drawn to curved TVs. Curved screens are kind of pointless at the distance you’d view a TV from, but there’s no doubt that they look cool.